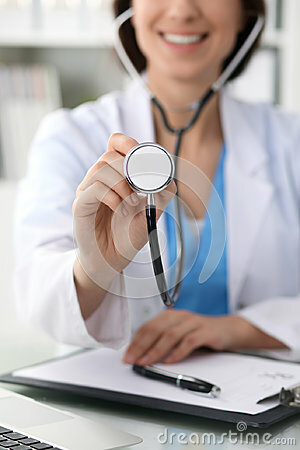 Doctor with a stethoscope in the hands, close up. Physician ready to examine and help patient. Medicine, healthcare and help concept.